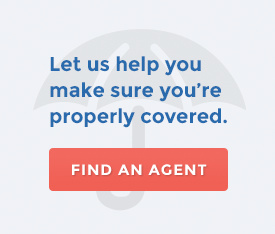 Washington Mutual Insurance Association works with its policyholders to customize its coverage to meet their specific needs. Through this process we offer first class products at competitive rates. Our programs are designed to cover a wide variety of risks, including homes, mobile homes, personal property (contents), farm buildings and structures, farm personal property and investment properties. Washington Mutual is an insurance company deeply rooted in Ohio’s history. Founded in 1878, our company has always valued superior products and service. We began as a small mutual association of farmers, with our first policy issued on October 22, 1878. Until 1880, all Washington Mutual policies were written by the directors of the company. The company hired its first agent in 1890. Agents and directors worked from their homes until 1925, when the first office was constructed near Lakeville, Ohio. The last 80+ years have seen the company continue to grow with very little change in philosophy. During these years, products were added and bylaws revised several times to keep up with policyholder needs. Management has always kept sight of the fact that the company is a mutual company, owned by the policyholders, with each having the right to attend policyholder meetings and vote on proposed changes. In 2009, Washington Mutual signed an affiliation agreement with Wayne Mutual Insurance Company in Wooster, Ohio. This agreement authorized the existing Wayne Mutual board of directors and company officers to lead both companies. As a result, the companies are now working closely together as part of Wayne Insurance Group, but continue to operate as separate entities. This affiliation offers new opportunities to provide policyholders of both companies with a broad range of insurance products and services to meet their individual needs.